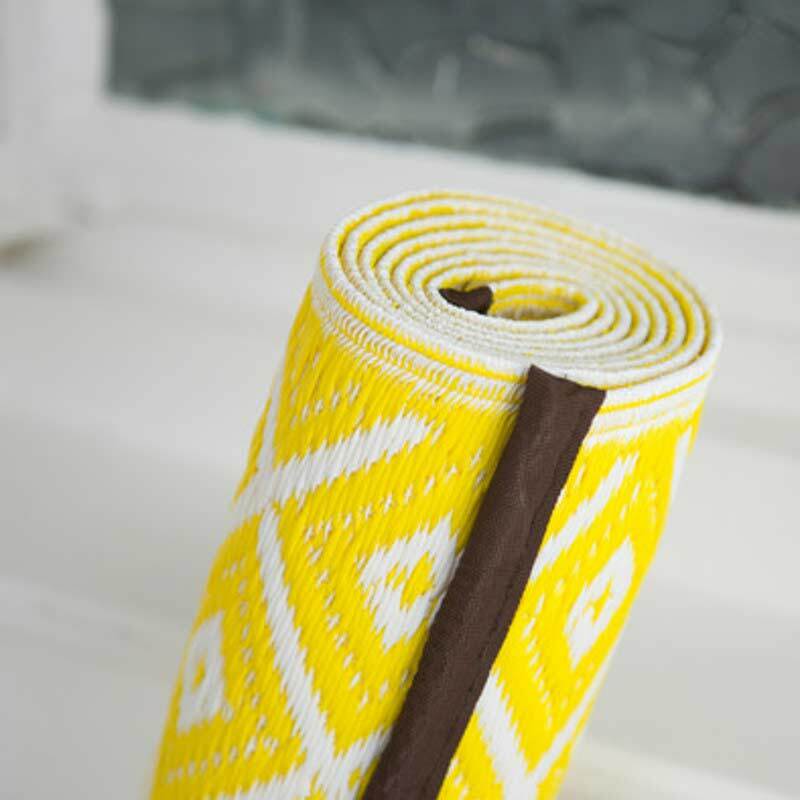 Versatile and lightweight, the Arabian Nights Yellow and White Outdoor Rug – 90 x 150cm is perfectly at home on the balcony, in the garage or as a picnic blanket. 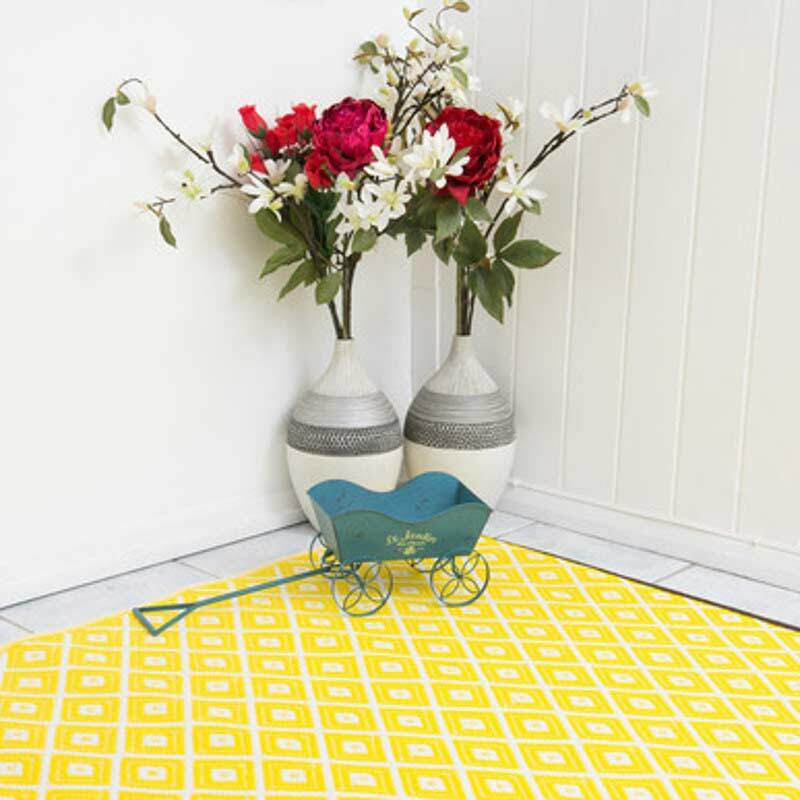 Not only is the Arabian Nights Yellow and White Outdoor Rug – 90 x 150cm a great looking and durable rug, it is also completely eco-friendly as it is made from recycled plastic straws. This means that while you are lying on this mat at the beach, you are actually helping to save the planet! 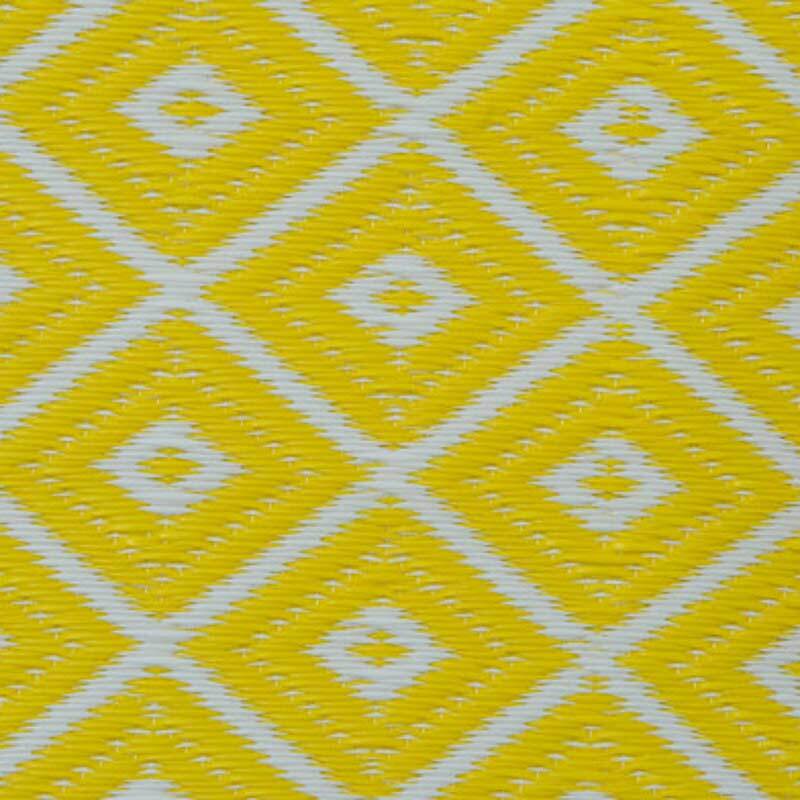 Perfect for virtually any space or use, the Arabian Nights Yellow and White Outdoor Rug – 90 x 150cm will amaze you with its versatility and usability. Versatile and lightweight, the Arabian Nights Yellow and White Outdoor Rug – 120 x 180cm is perfectly at home on the balcony, in the garage or as a picnic blanket.  Not only is the Arabian Nights Yellow and White Outdoor Rug – 120 x 180cm a great looking and durable rug, it is also completely eco-friendly as it is made from recycled plastic straws. This means that while you are lying on this mat at the beach, you are actually helping to save the planet! 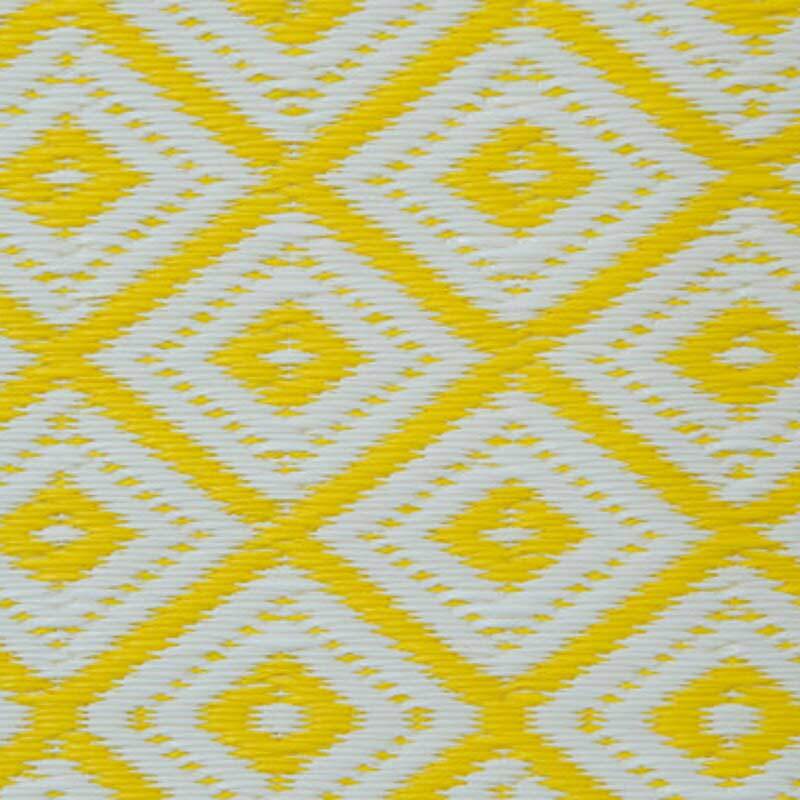 Perfect for virtually any space or use, the Arabian Nights Yellow and White Outdoor Rug – 120 x 180cm will amaze you with its versatility and usability. Versatile and lightweight, the Arabian Nights Yellow and White Outdoor Rug – 150 x 240cm is perfectly at home on the balcony, in the garage or as a picnic blanket. Not only is the Arabian Nights Yellow and White Outdoor Rug – 150 x 240cm a great looking and durable rug, it is also completely eco-friendly as it is made from recycled plastic straws. This means that while you are lying on this mat at the beach, you are actually helping to save the planet! Perfect for virtually any space or use, the Arabian Yellow Black and White Outdoor Rug – 150 x 240cm will amaze you with its versatility and usability. 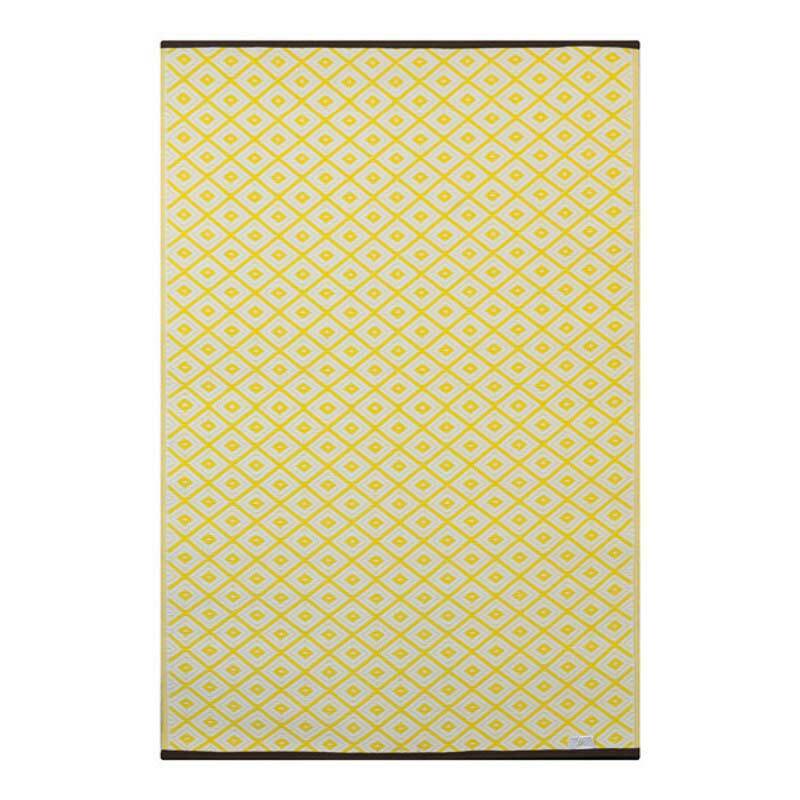 Bright and funky, the Arabian Nights Yellow and White Outdoor Rugs are an eco-friendly rug suitable for both indoor and outdoor use. 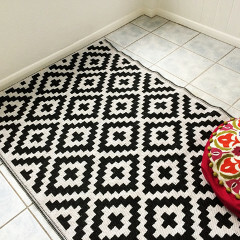 Light-weight and easy to clean, these reversible rugs have a thousand and one uses from a kids play mat to a beach mat to kitchen mat to a garage mat! 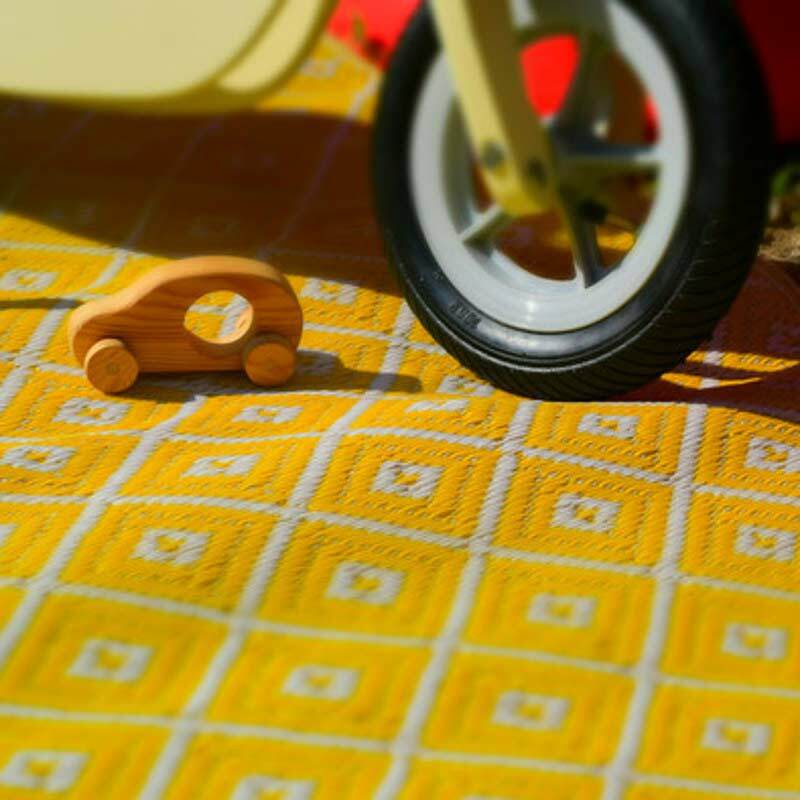 Versatile and lightweight, the Arabian Nights Yellow and White Outdoor Rugs are perfectly at home on the balcony, in the garage or as a picnic blanket. Not only are the Arabian Nights Yellow and White Outdoor Rugs great looking and durable, they are also completely eco-friendly as they are made from recycled plastic straws. This means that while you are lying on this mat at the beach, you are actually helping to save the planet! 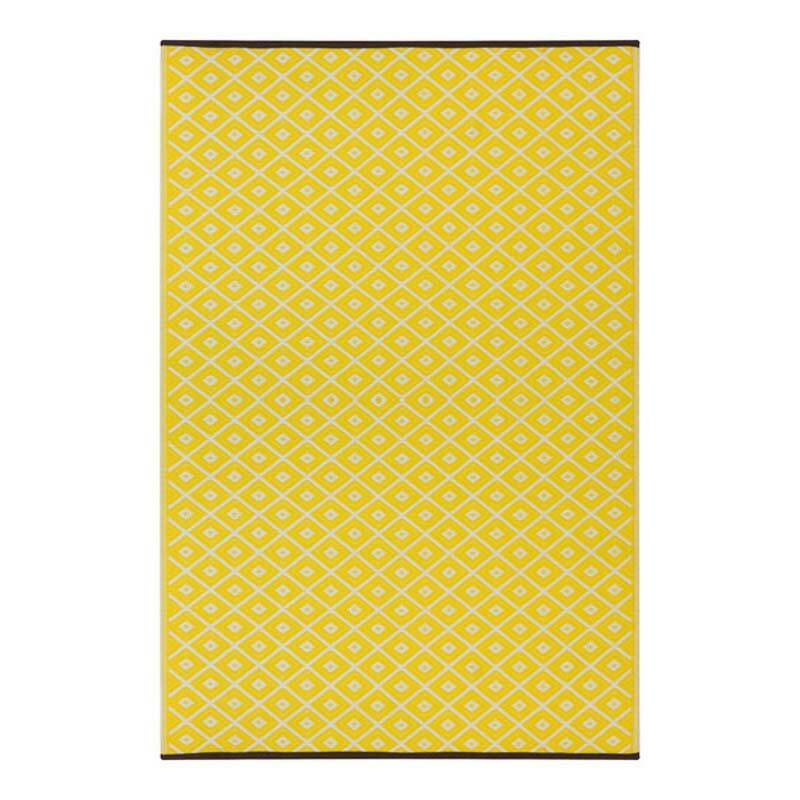 Perfect for virtually any space or use, the Arabian Nights Yellow and White Outdoor Rug will amaze you with its versatility and usability.